Who is Kirsten Gillibrand, Democratic candidate for president? Late-night talk shows more suited to comedy usually aren’t the place for major political announcements, but that turned out to be the case Jan. 15. During an appearance on "The Late Show with Stephen Colbert,” New York Sen. Kirsten Gillibrand announced she would be the latest Democrat to run for president in 2020. While technically, Gillibrand said she was forming an exploratory committee in her announcement, she later confirmed to Colbert that there was no chance she wouldn’t run. 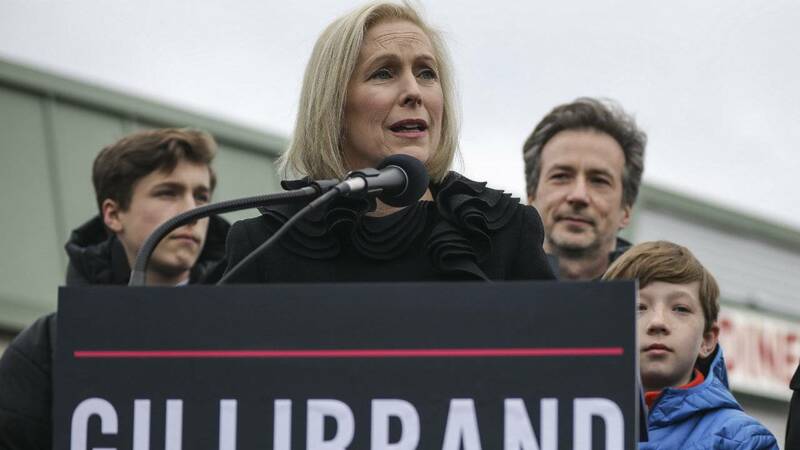 Gillibrand initially followed in the footsteps of her parents by becoming an attorney, but started to delve into politics in 2000, working for Hillary Clinton’s successful campaign for the United States Senate. In 2006, Gillibrand was elected to the U.S. House of Representatives to fill New York’s 20th District seat, a post that prior to her, had been served by Republicans for all but four years since 1913. Gillibrand then was appointed to fill Clinton’s seat in the Senate in 2009 after Clinton was appointed to serve as secretary of state under then-President Barack Obama. Gillibrand has served in the Senate ever since. Click here to see more news about Kristen Gillibrand.